Tuesday's Novice Class will cover a variety of wet and dry fly applications; we give you the template and you get to create. Hook and material selection will be a key part of this class, simplifying your world as a fly tier. Each year several tiers return here for a review of the standard patterns/techniques, which also pushes the crew to intermediate tying levels. Class begins Tues. Jan. 8, 2019 6 PM. Cost is $100 for 6 session class. Thursday's Saltwater Class is taught by Lee Powers and will feature an all new line up of flies for 2019. Lee will also take requests if there is a specific pattern you would like to learn. This was a fun part of last years class that we are looking forward to again. Philosophically Lee enjoys innovating and creating the best flies possible blending different tying traditions with new and traditional materials. Want to get your first Striped Bass, Bonefish or Tarpon on one of your own flies, this class is for you. Mixing synthetics with natural materials on some very cool hooks is a big deal here. These flies have a ton of "crossover" to fresh water bass, trout and Muskie, to name a few. Spinning deer hair for water pushing flies, it's here in this class. Class begins Thurs. Jan. 10, 2019 6 PM. Cost is $100 for 6 session class. Wednesday's Advanced Class will venture deeper into "hatch matching" patterns and articulated streamers. Transitional flies, emergers/cripples, are always a clutch part of this class. With returning members of this class each year, patterns change and always rise to the next level. 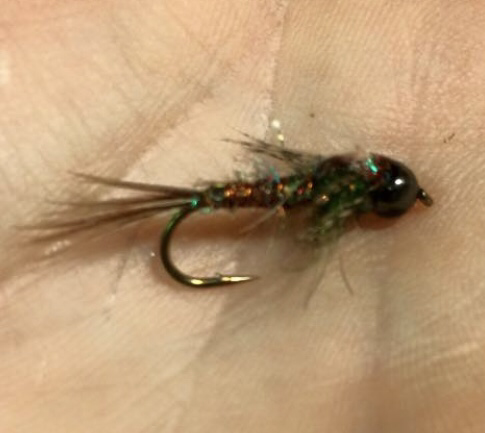 Want to tie a better parachute or compara dun dry fly, this is your class. Class begins Wed. Jan. 9, 2019 6 PM. Cost is $100 for 6 session class.